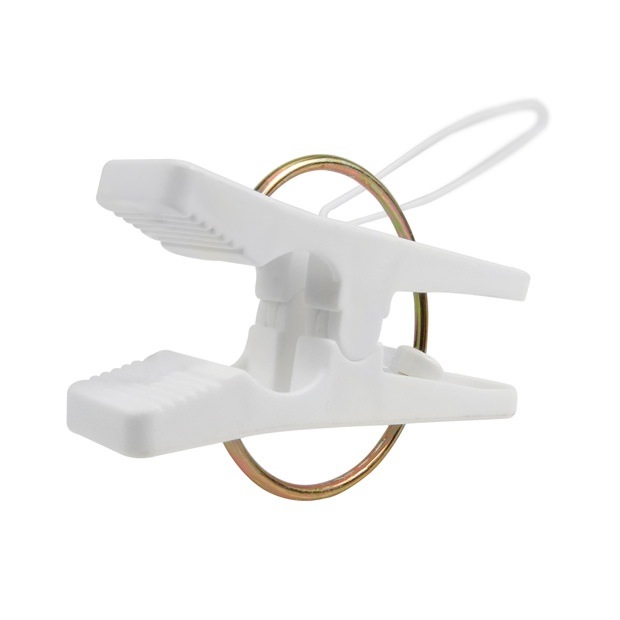 White plastic loop pegs with anti slip jaws. Ideal for use with clothes, garments, laundry etc. Ingenious clip design for use anywhere in the home, garden, office. Built for practicality and durability. Simply thread the wire through your choosen area, pull the peg through the loop and tighten. Could also be used for hanging accessories, cards, reminder notes etc. Packed in sealed, clear wrap. Lovely idea for a gift. â€‹Size: Length 5cm (22cm to the end of the wire) approx.